Unfaithful Walk - Welcome To ES Live! 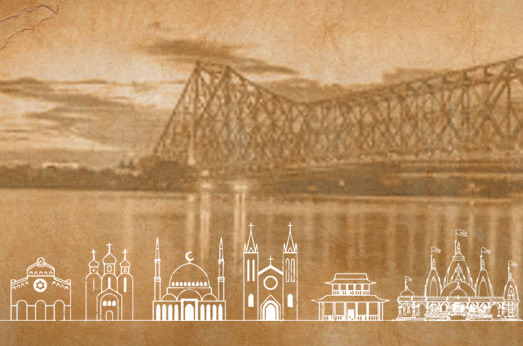 Kolkata, in the days of the British raaj, was known as the ‘second city of the empire’ after London. It need not be mentioned that Calcutta, as it was called back then, had held a lot of importance in terms of culture, economy, trade as well as politics. People from every strata of the society and religion flocked here in search of good fortune and to make a name for themselves in the elitist social scenes existing here. And as they came, so did their influence over the multifarious aspects of the social order in the city. Secularity in the truest and most literal sense prevailed here, right from the beginning. And one such provenance to substantiate the aforesaid is#theonlystreetintheworld- Yes, Kolkata is home to the only street in the world which has the godsend opportunity of hosting religious institutions of all faiths on a stretch of a single street. Before it is too late, let’s go out for local sightseeing in Kolkata, explore your own city, enjoy every moments with us from walking tours to heritage sites. Come with Let Us Go for an amazing Kolkata city tour, it can help you to know your city in a better way!